It’s that time of year again, and today marks the start of our Holiday Gift Guide here at Inhabitat. Our first installment is Cheap Gifts Under $30- wallet-friendly green gifts that are great for co-workers, stocking stuffers, or the yearly white elephant party. Read on for the best cheap gift suggestions, and stay tuned in the next few days for more gift ideas for her, him, pets, and more! Give the gift of a tree this holiday season, and encourage family and friends to nurture Christmas trees (instead of chopping them down year after year as tradition goes). With a little care, you can watch this baby Christmas tree grow each year from a mere seedling to a majestic Noble Fir. We think it would make a lovely housewarming gift or memento for a baby’s first Christmas. These quirky little creatures, made of decomposing natural latex rubber, sprout into melons, tomatoes, and pumpkins. 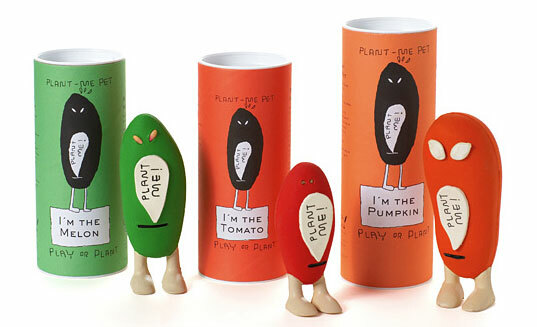 So cute you may not want to plant them, Plant-Me Pets make great desktop companions and are the ideal gift for that impossible-to-buy-for individual on your list. Edited by Alex Steffen and Inhabitat’s own Sarah Rich, this is the quintessential guide to living sustainably. Usually we at Inhabitat focus on design and building, but this whopper highlights just about everything, from technology to politics. 600-plus pages of ideas and innovations will no doubt inspire, intrigue, and have you thinking it is indeed time for change. Great for your outdoorsy hiker friend, the Orikaso line of flat-pack dinnerwear is durable, leak-proof, and easy to clean. Just throw it in your backpack and fold into cups, bowls, and plates in seconds. 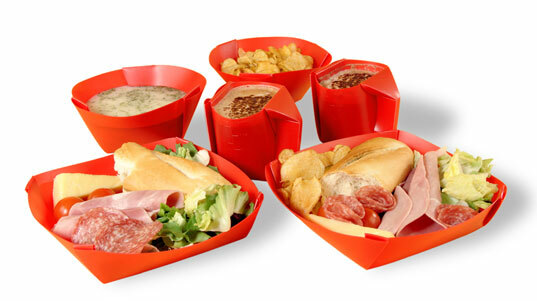 The dinner set comes in a reusable packing sleeve, and is made from Greenpeace-endorsed polypropylene. 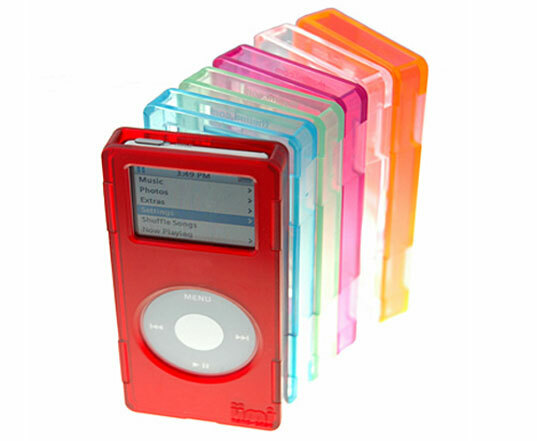 For your iPod-addicted friend, the Jimi recycled plastic Nano case provides both protection and eco-friendly style. Made from 100% recycled translucent polycarbonate (closely related to bullet-proof glass), the case features a belt/armband clip and swappable faceplates. Al Gore’s influential documentary on global warming is a must-have for anyone on your list who owns a DVD player. For those who missed it, Gore presents a wide array of facts and information in a thoughtful and compelling way, stressing the gravity of worldwide environmental problems. 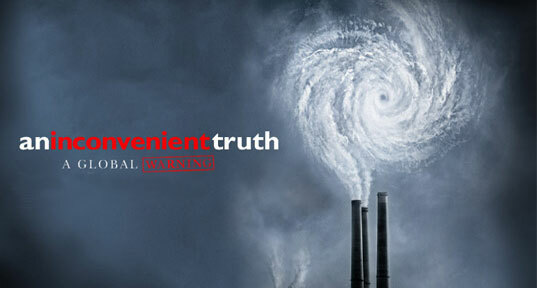 An Inconvenient Truth is not a story of despair but rather a call to action to protect the one earth we all share. When it comes to holiday greetings, you can do no better than the holiday cards from Potion Brands. Uber stylish and suitable for folks of all faiths, these cards are also printed with environmentally responsible inks on a cardstock with 20% PCW. You can order them by the box or with custom imprints. And as a little holiday bonus, enter the word, “petitgreet” into the promotion code at checkout and receive a darling set of free gift tags. Charm the bike nerds in your life with these thoughtful handicrafts made from recycled bicycle parts. The simple but elegant Tea Light Holder is made from recycled freewheels and cogs, and candles even come included. 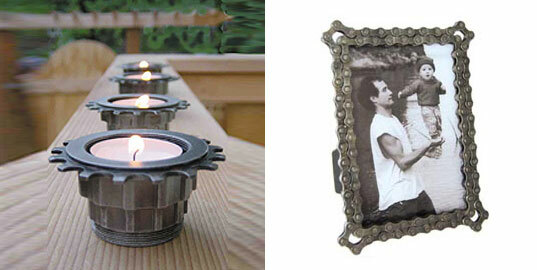 The picture frame shown above is made from a recycled chain and costs $38. 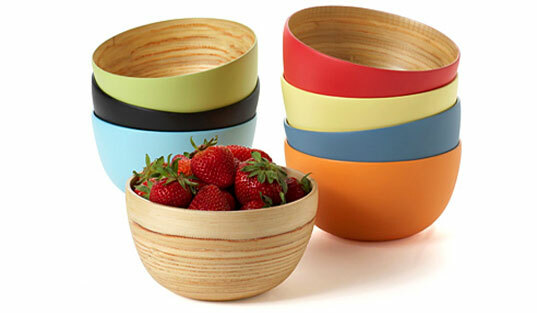 These colorful bamboo bowls are hand-coiled, shaped, and given a food-safe waterproof finish. Produced in Vietnam by manufacturers committed to environmental protection and fair labor laws, the bowls are a perfect housewarming gift for holiday parties. 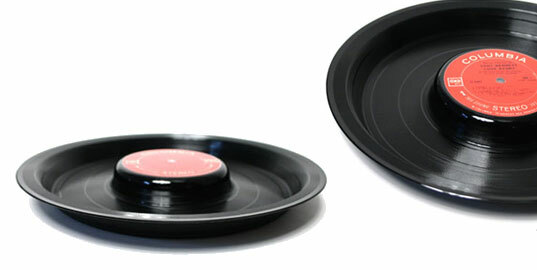 A perfect gift for the record nerd in your life, the vintage record snack bowl gives new life to damaged or unplayable old vinyl LPs. Great for nuts, popcorn, and conversation starting, you can even custom tailor your bowl down to genre of music (although you can’t choose individual artists). Your computer-savvy yet eco-friendly friend will love this bamboo mouse that combines modern technology with sustainability. 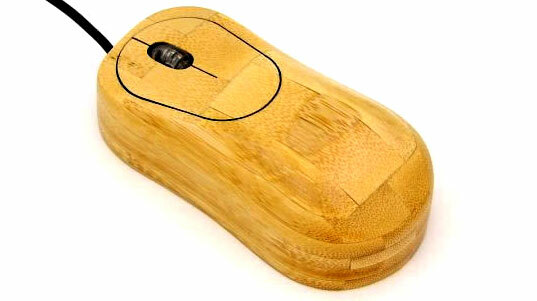 The mouse works like any other, but the case is made from bamboo instead of plastic. Also available are matching bamboo keyboards and monitors! These are some great gift ideas! I especially love the bamboo mouse! It's very unique and also environmentally friendly! My husband wants me to buy him some rock climbing gear, but that can't be his only gift. I think I will get the mouse too! The ipod cases are a great idea but I wish there were cases for video ipods and minis. 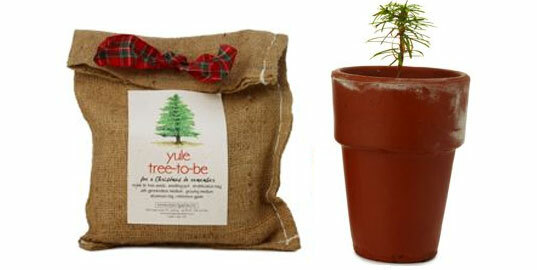 These would make excellent gifts for everyone, not just for environmentalist family members or friends. Great list! The Plant-Me Pets would be cute for my nieces. More lists, please! yes, we want more! those are great ideas!!! Every christmas, picking the presents for everyone is such a drag, I never know where to start from, this makes it a lot easier! Great, wonderful. I think even the link to your website is a great present. THANK YOU. It's that time of year again, and today marks the start of our Holiday Gift Guide here at Inhabitat. Our first installment is Cheap Gifts Under $30- wallet-friendly green gifts that are great for co-workers, stocking stuffers, or the yearly white elephant party. Read on for the best cheap gift suggestions, and stay tuned in the next few days for more gift ideas for her, him, pets, and more!